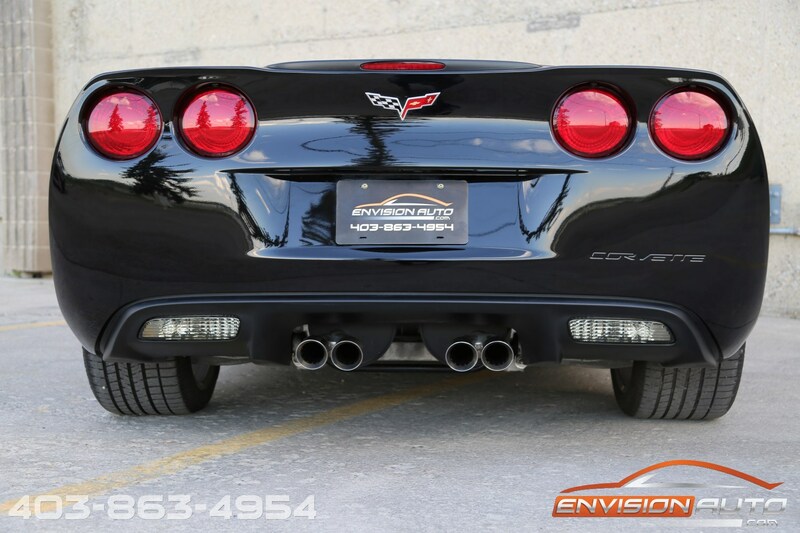 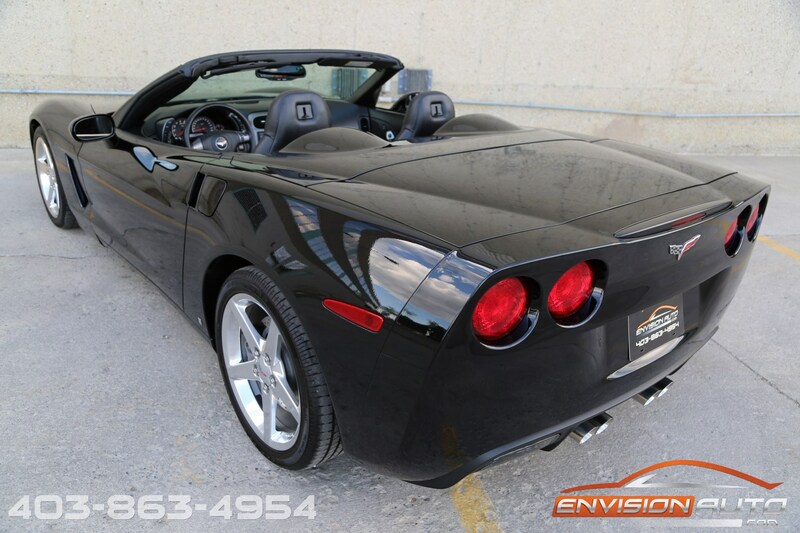 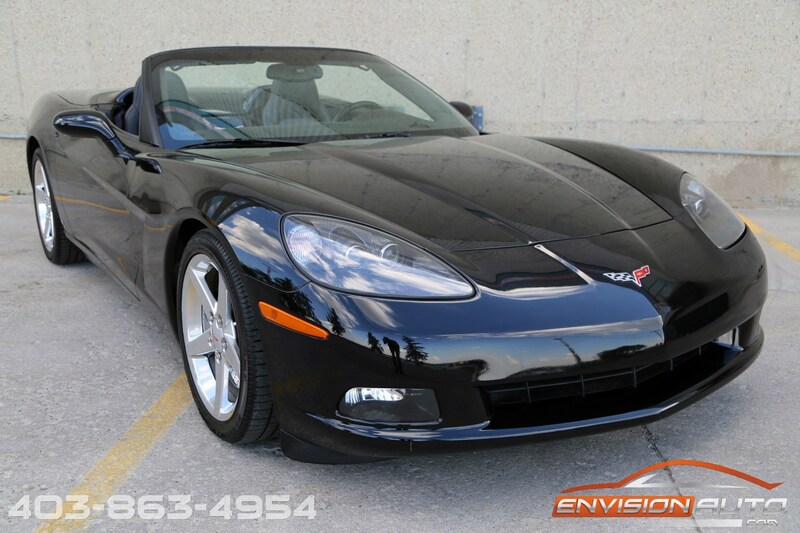 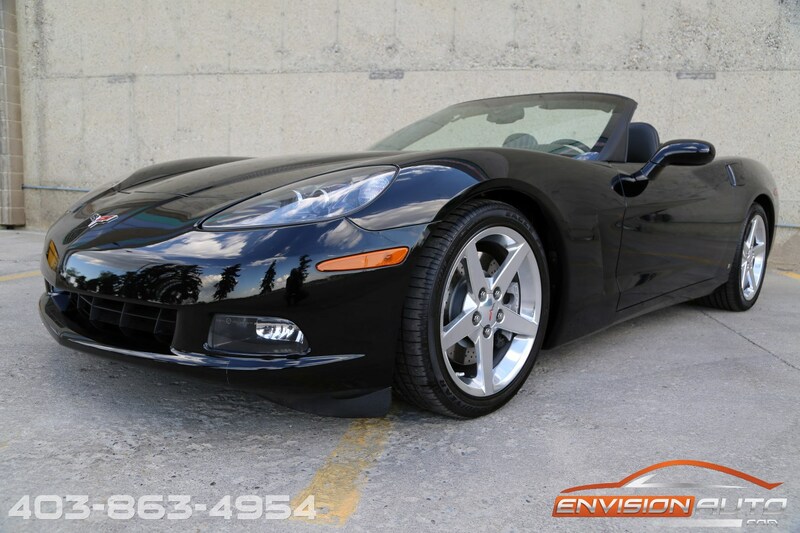 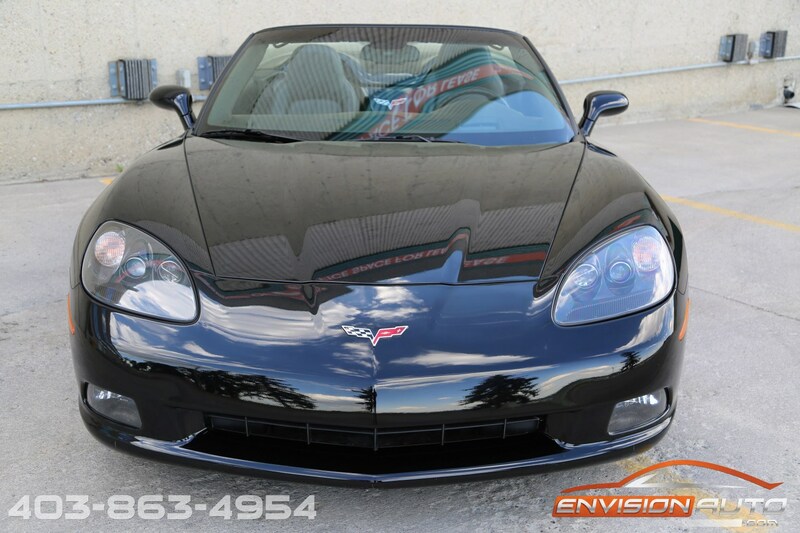 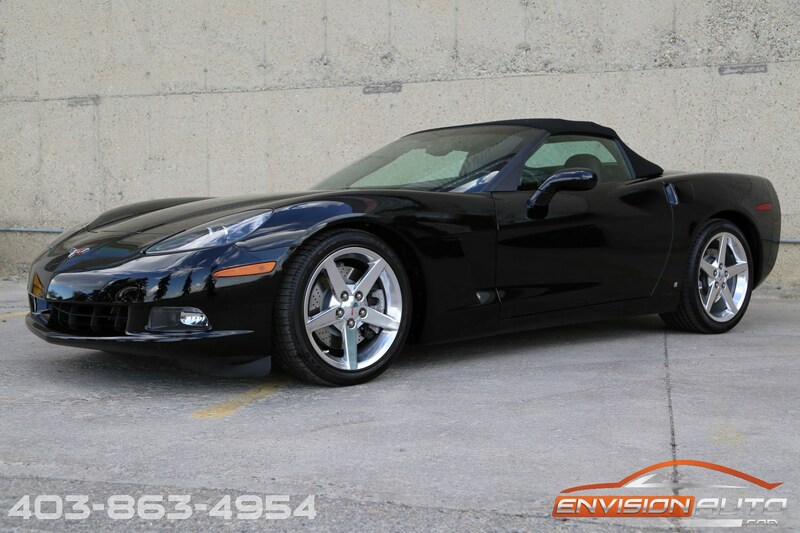 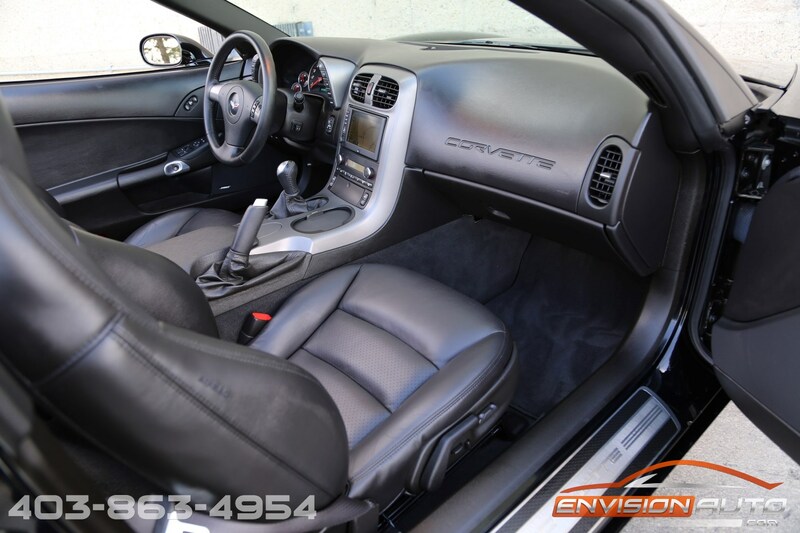 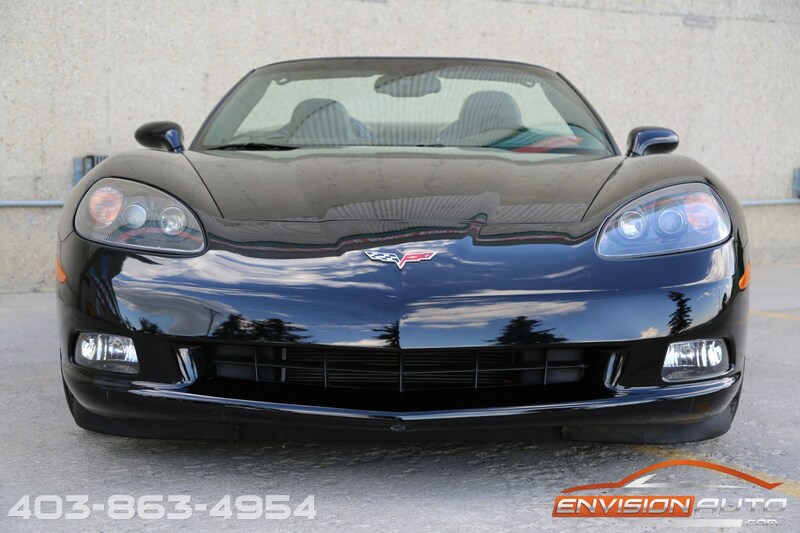 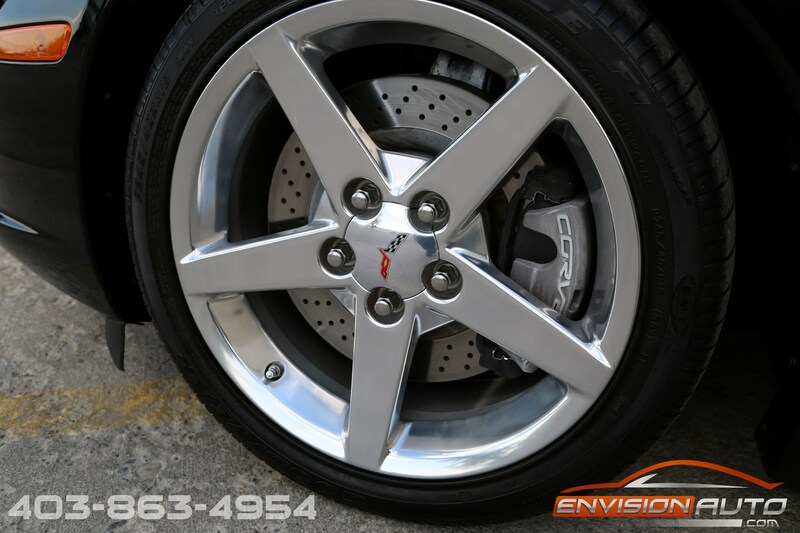 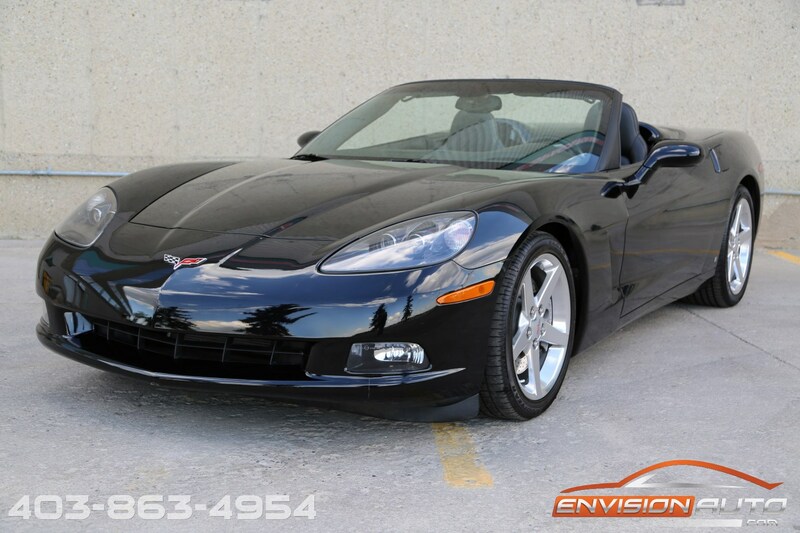 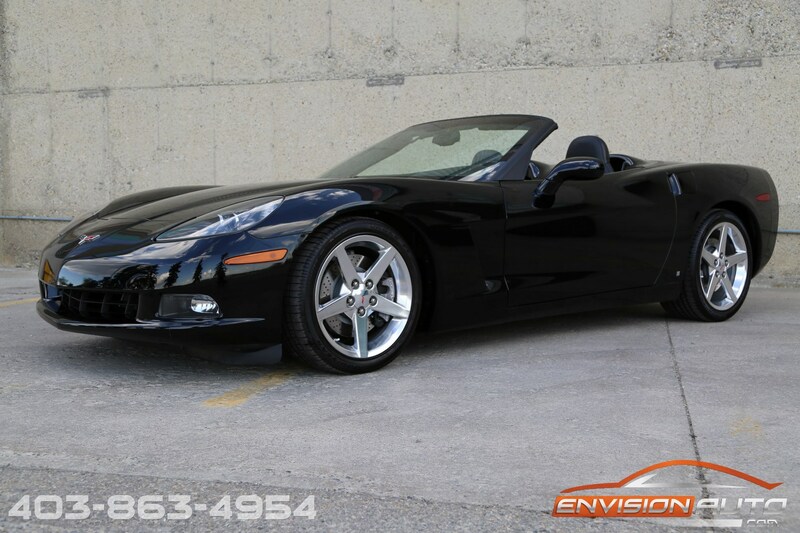 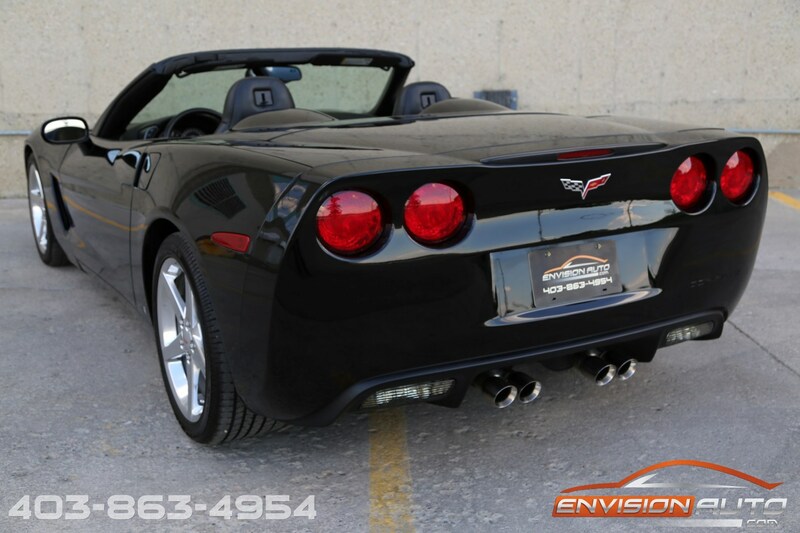 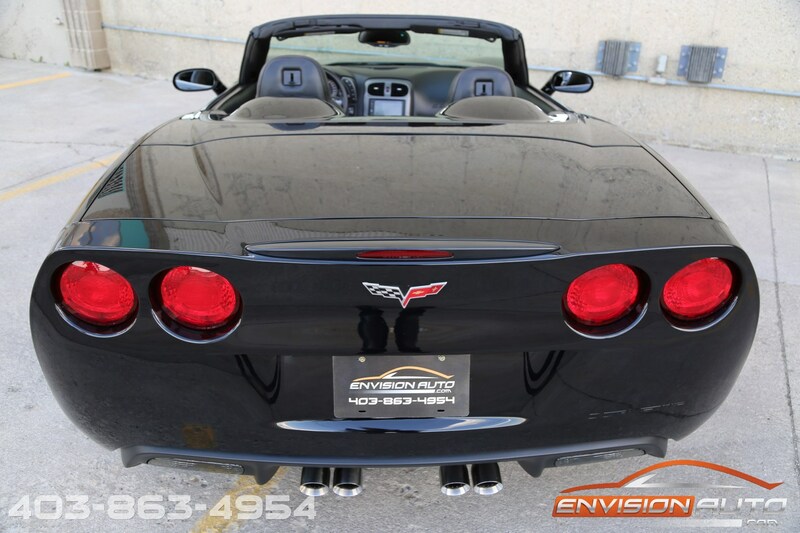 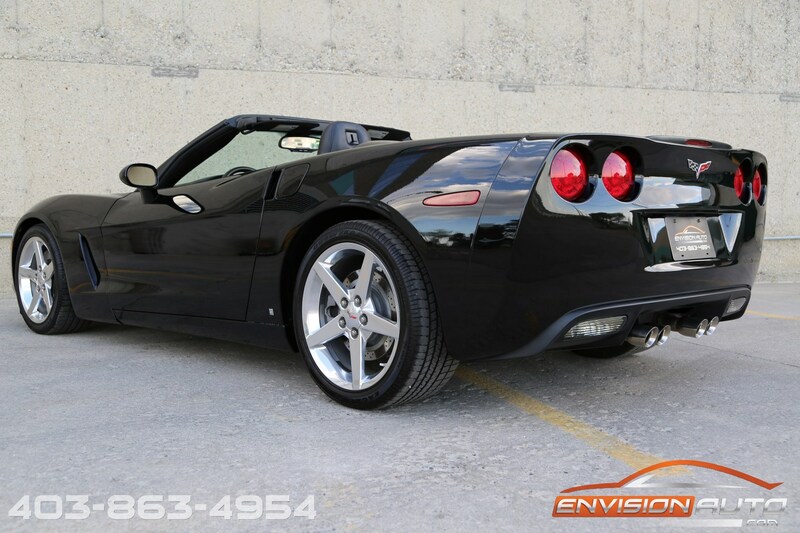 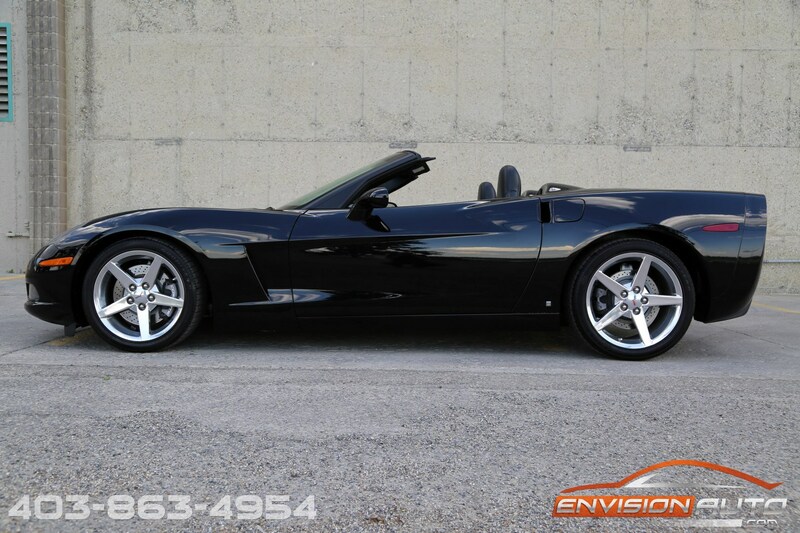 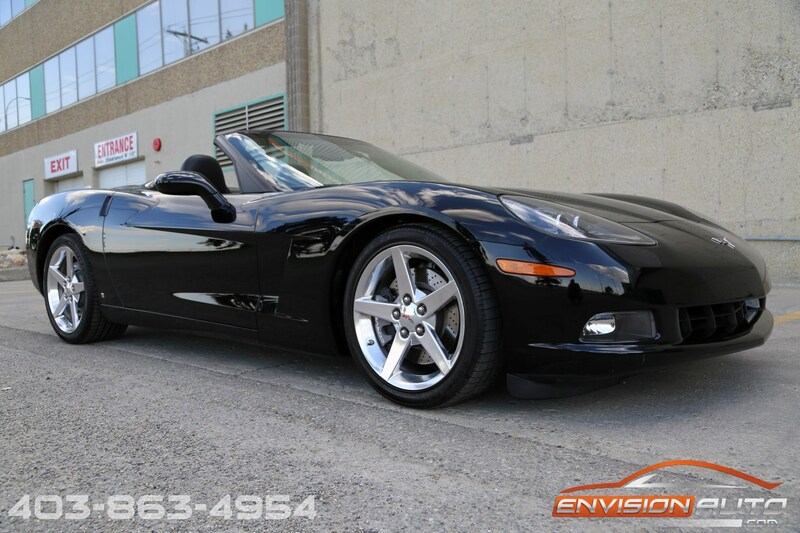 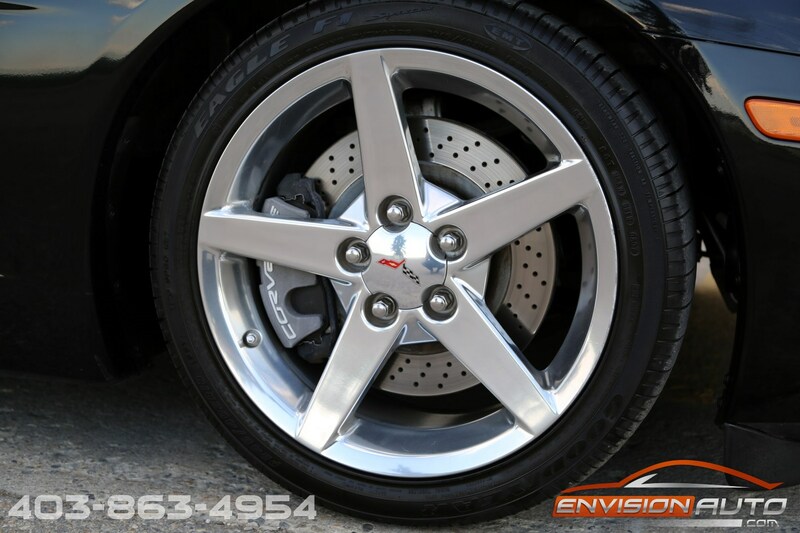 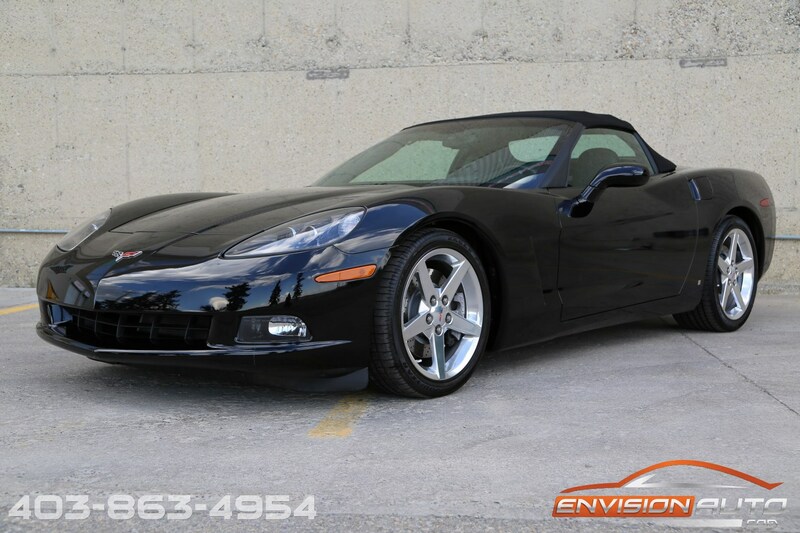 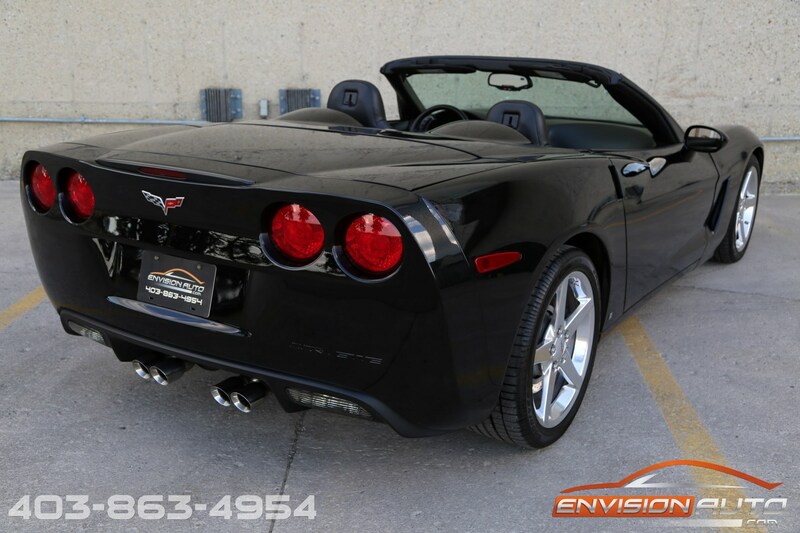 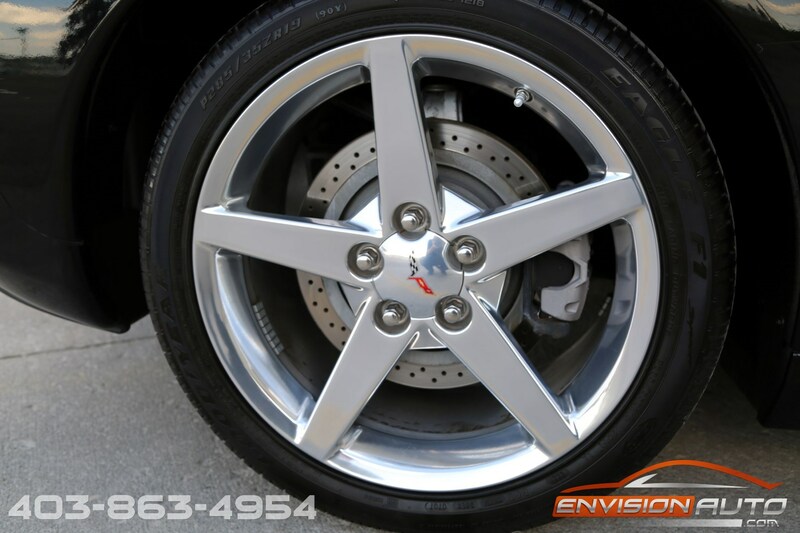 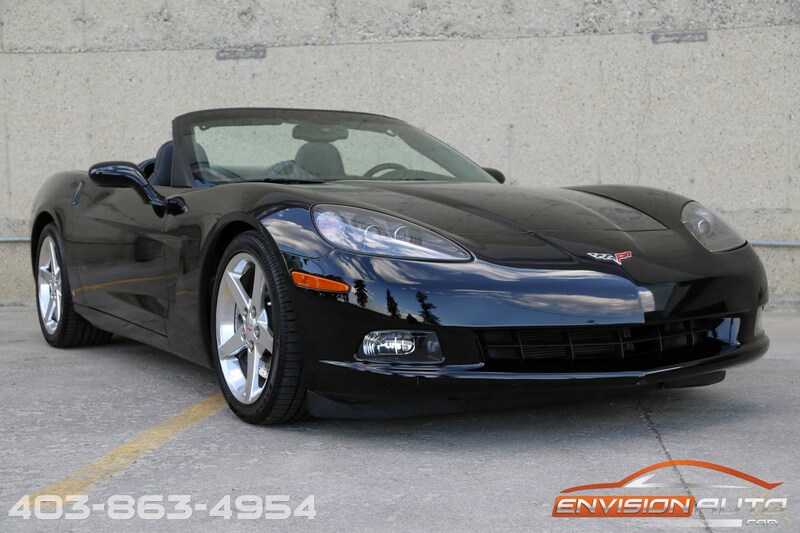 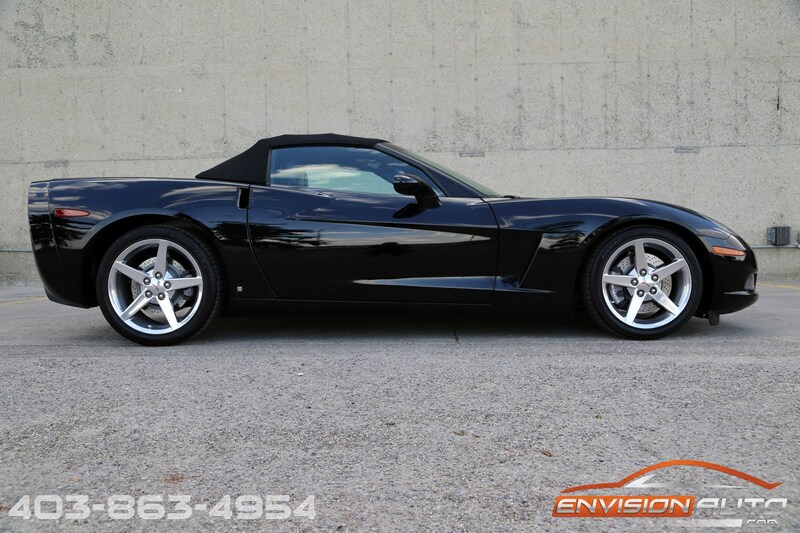 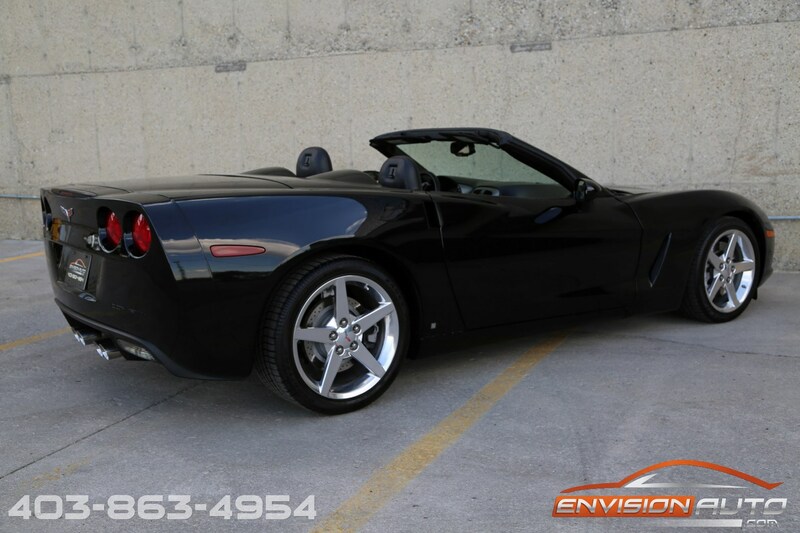 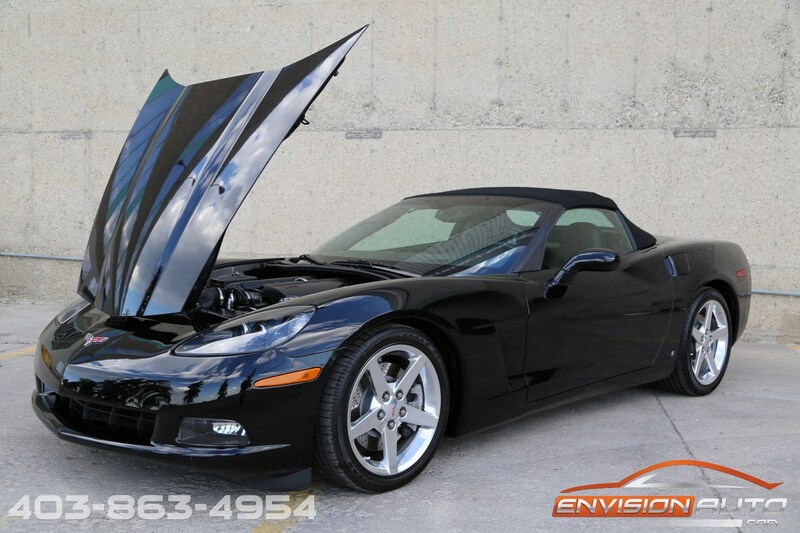 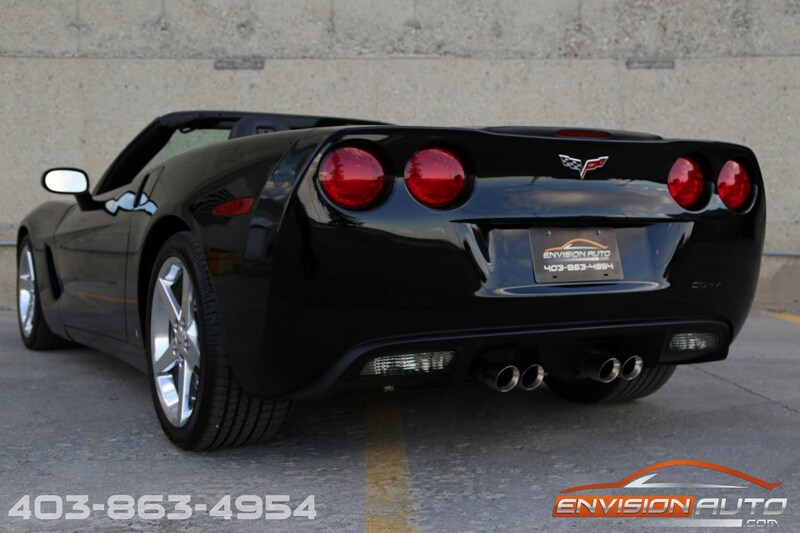 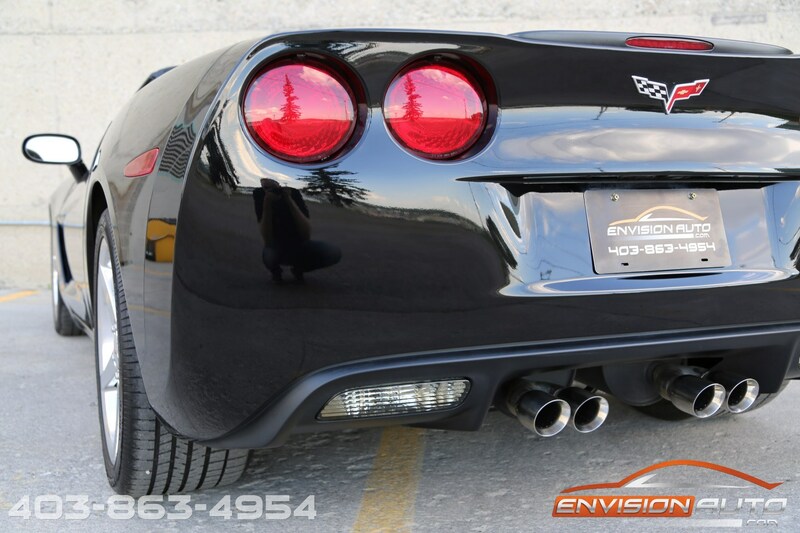 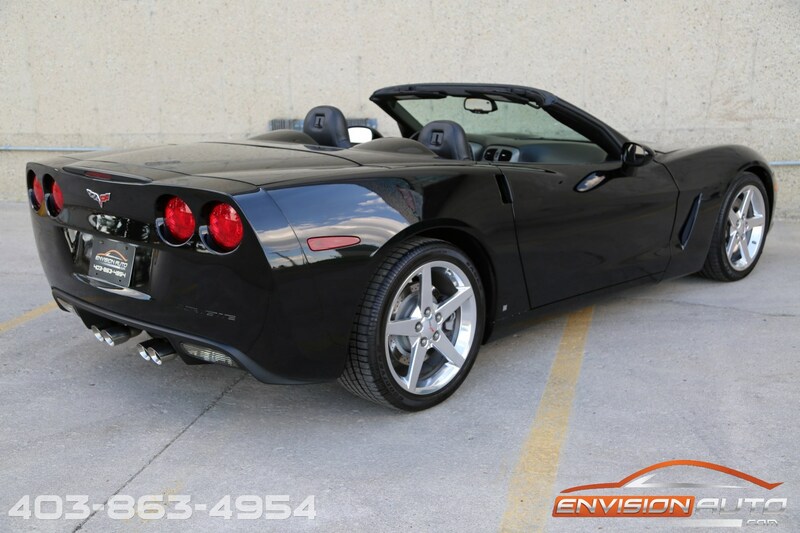 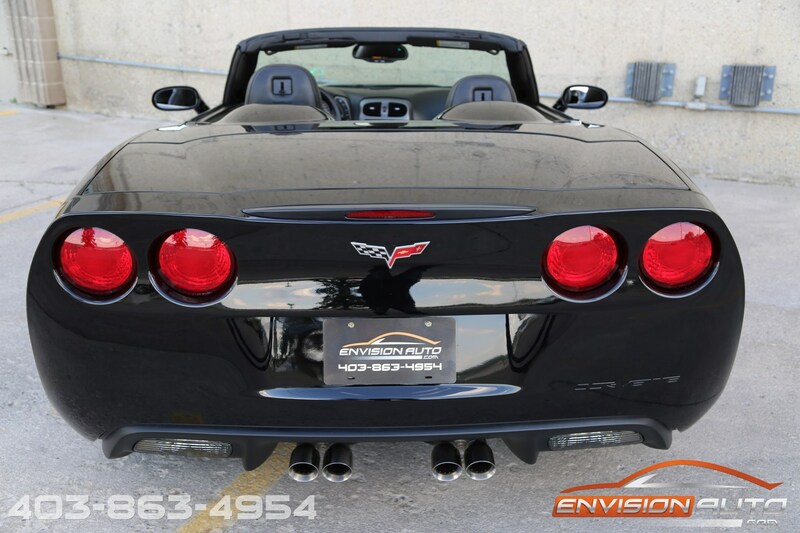 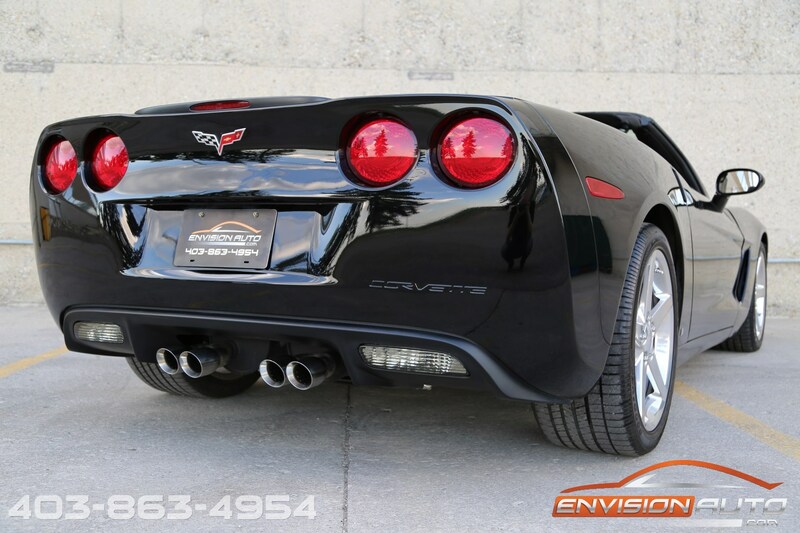 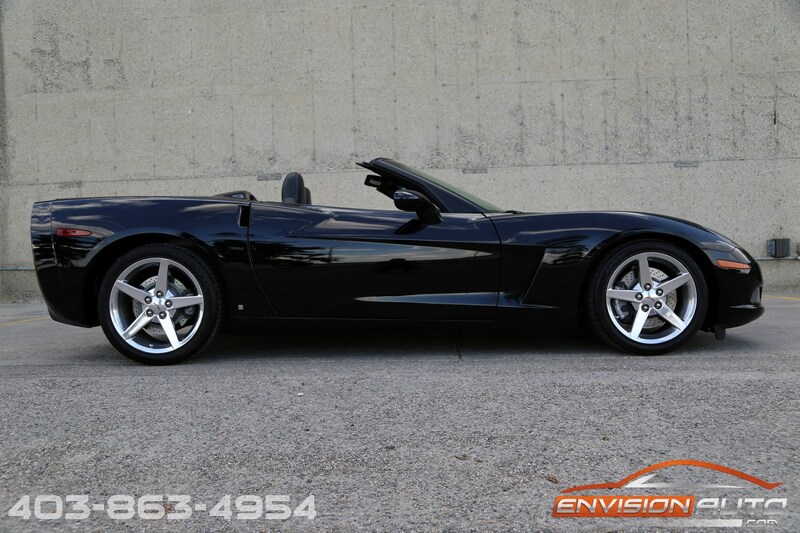 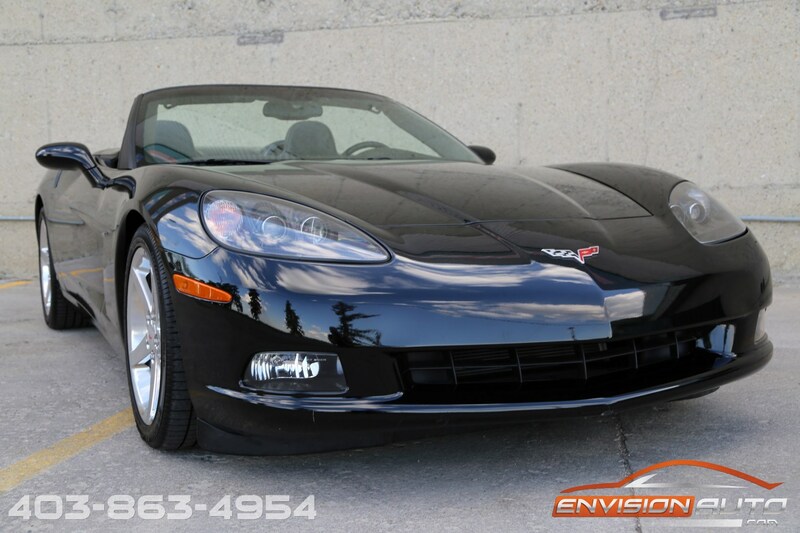 2007 Chevrolet Corvette Convertible 3LT Z51 \ 6 SPEED MANUAL \ ONLY 9,000 KMS! 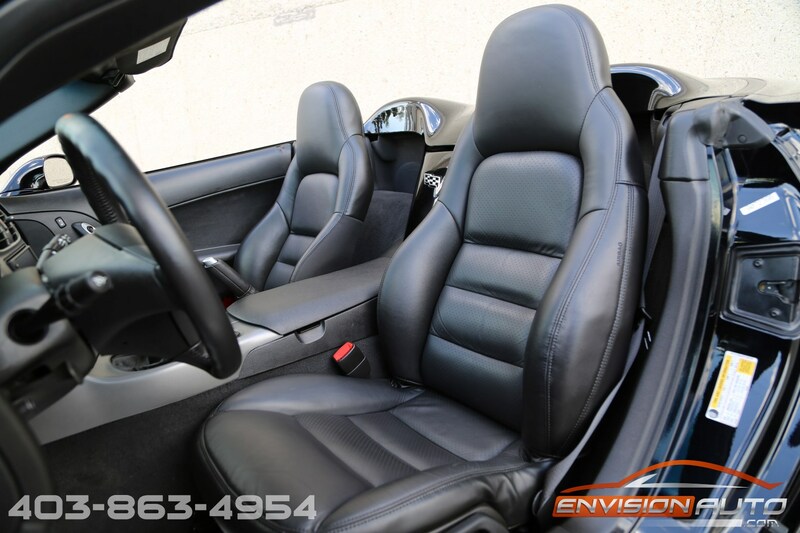 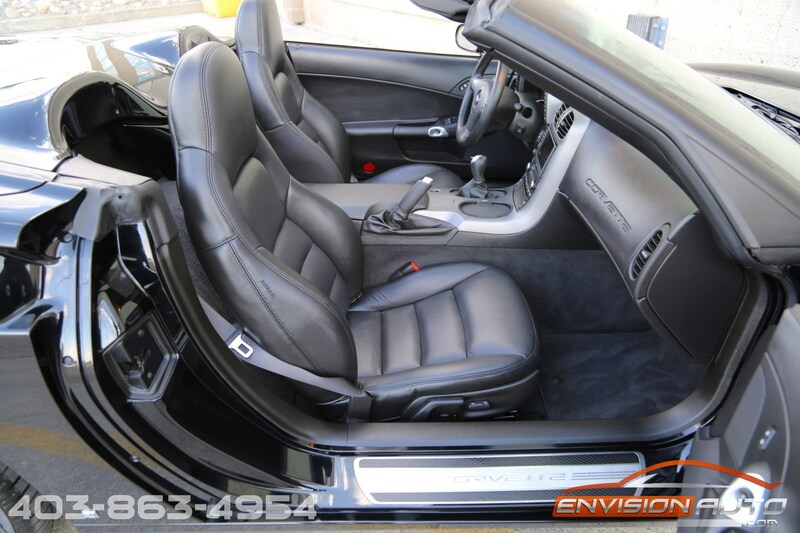 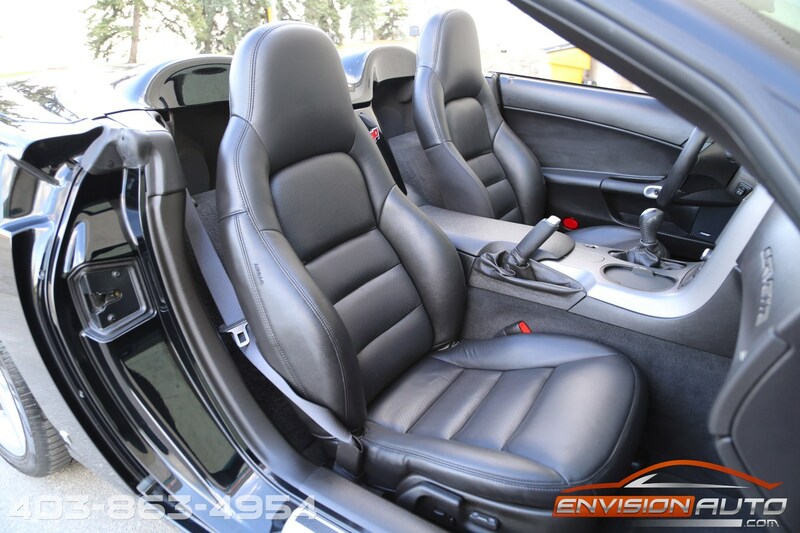 -> Stunning Triple Black Convertible, 6 Speed Manual, and ONLY 9,000 KMS! 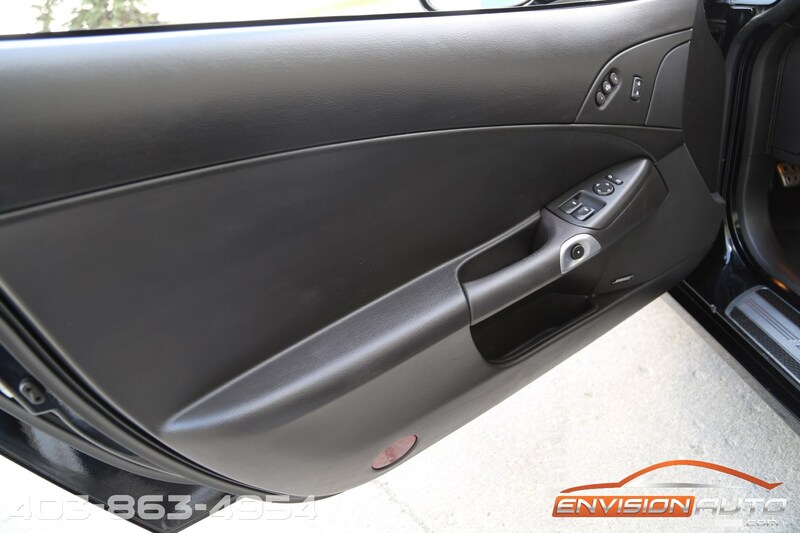 More Details : – WOW! 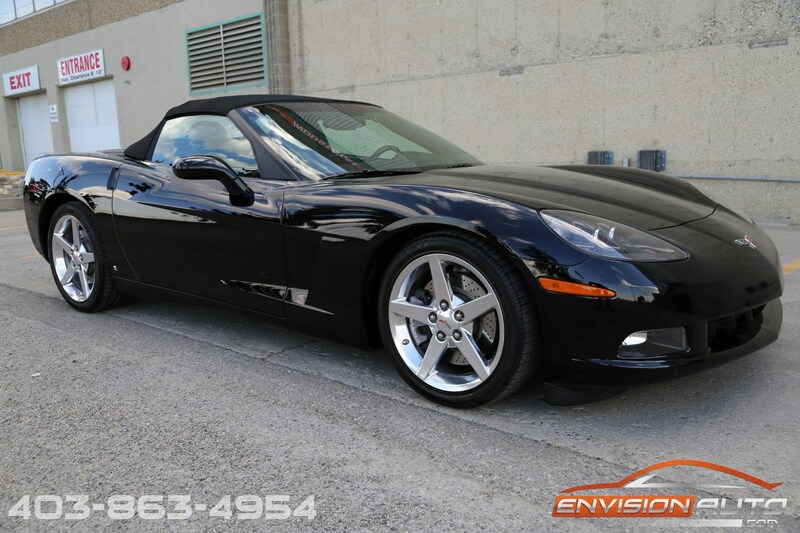 TRIPLE BLACK C6 CONVERTIBLE \ Z51 3LT \ 6 SPEED MANUAL \ ONLY 9,000 KILOMETERS \ FULL FRONT 3M PROTECTION WRAP \ NAVIGATION \ HEADS UP DISPLAY \ HEATED SEATS \ SPOTLESS CARPROOF HISTORY REPORT! 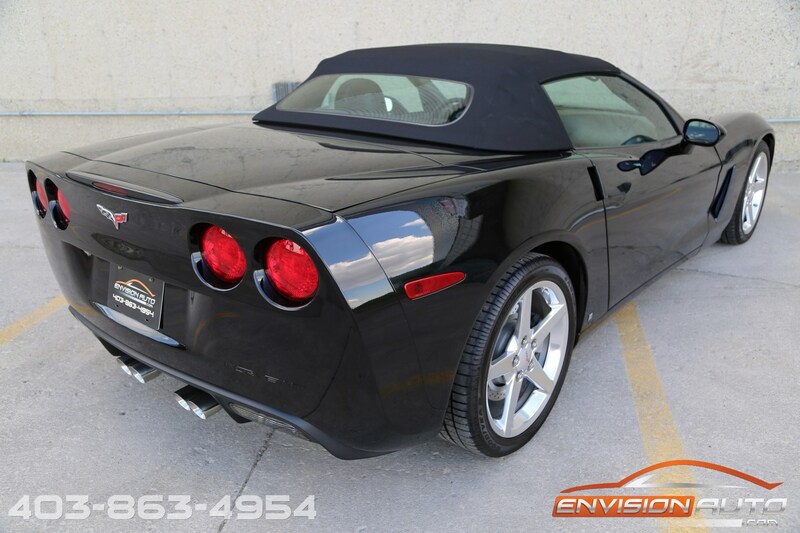 As rare as they come – only 9,000 original kilometers (yes! 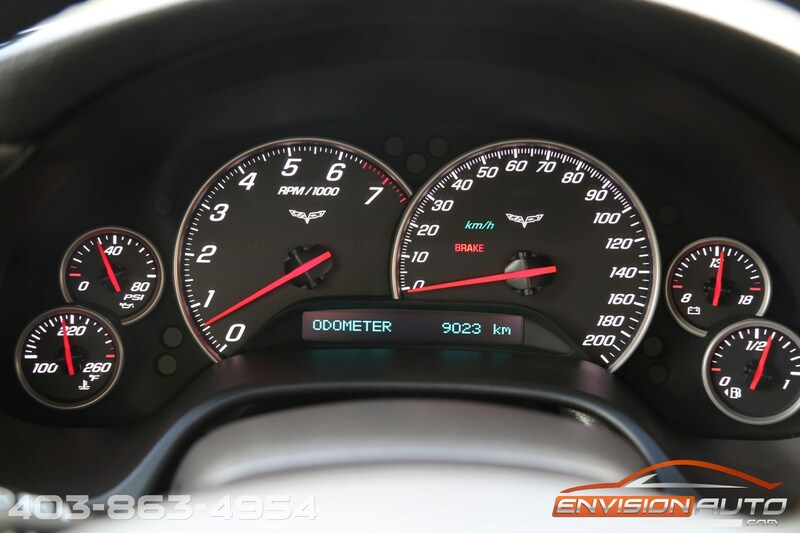 nine thousand!) 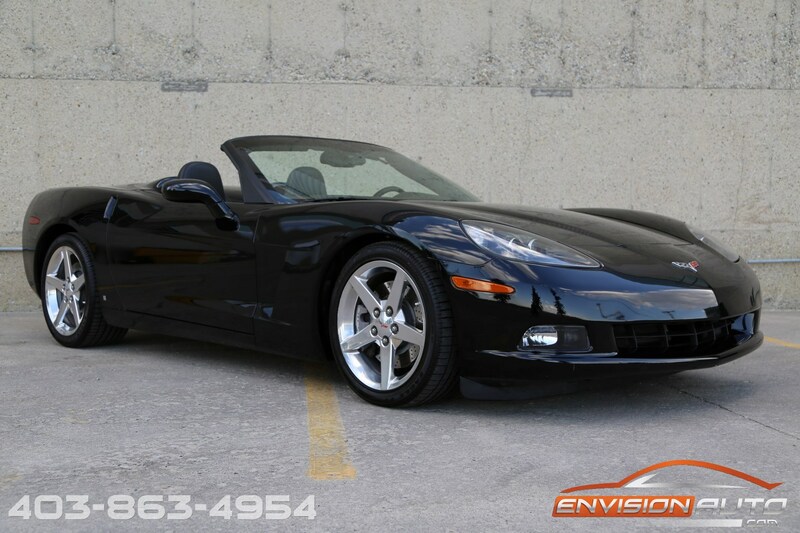 on this 2007 Corvette Convertible. 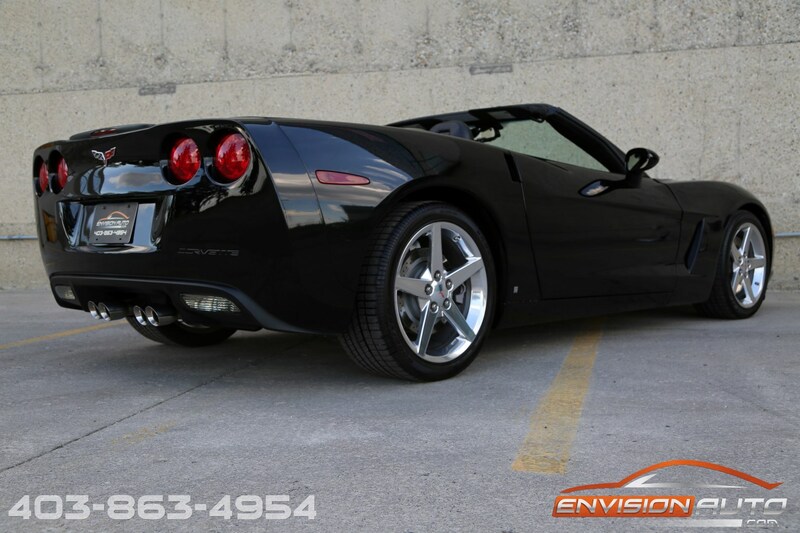 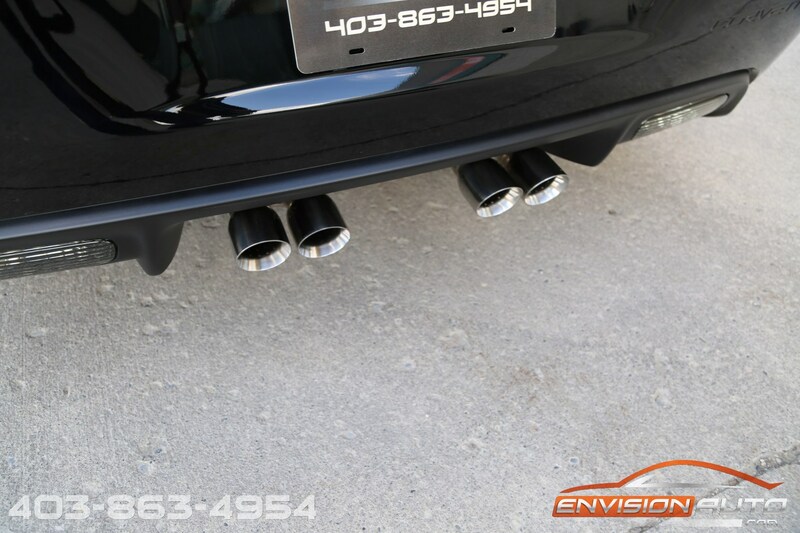 Fully equipped with every factory option available in 2007, this car comes in stunning triple black and has a clean, accident free, 100% CarProof verified history, 3LT option group, Z51 Performance Package, Brushed Aluminum Wheels, Heads up Display, Power Convertible Soft Top and the 6.0L LS2 V8 engine producing 400HP mated to the 6 Speed Manual transmission. 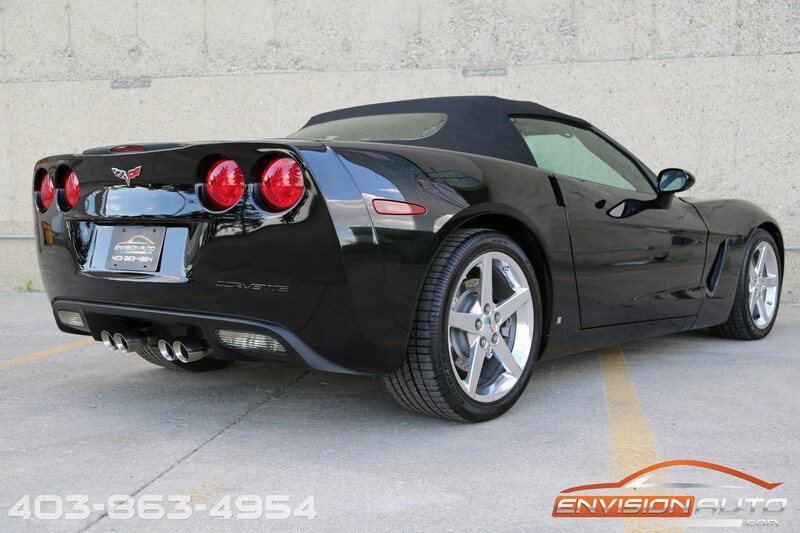 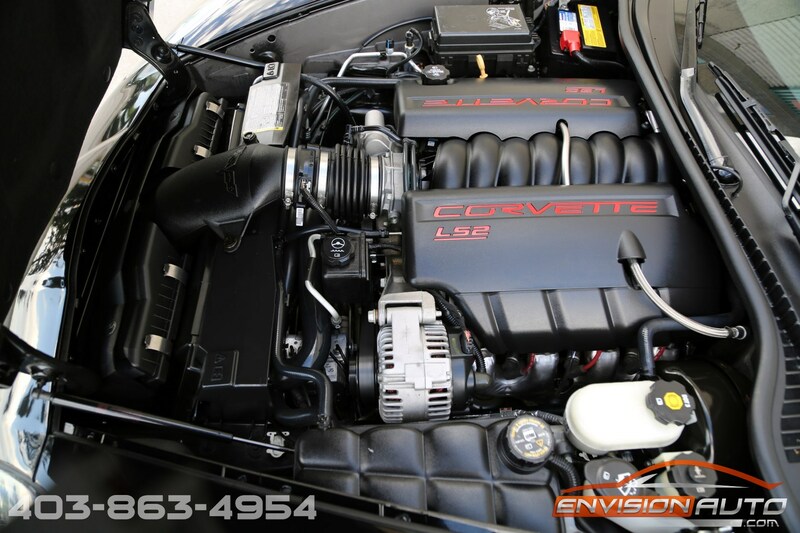 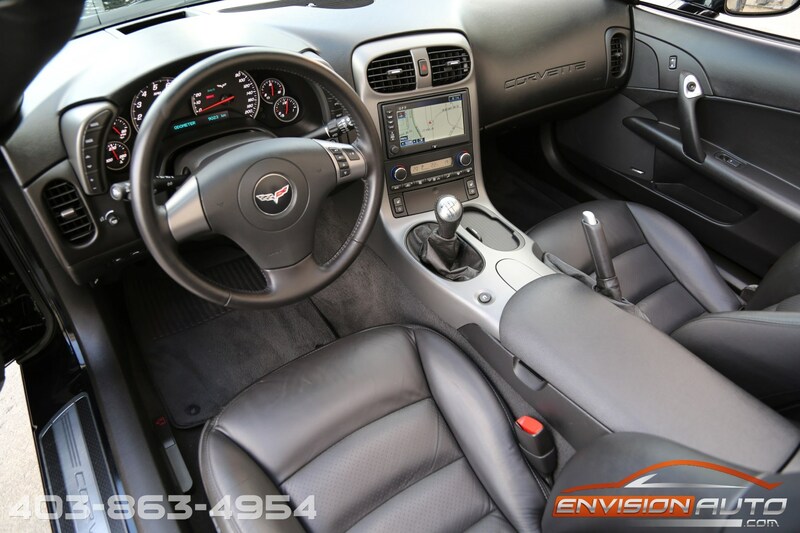 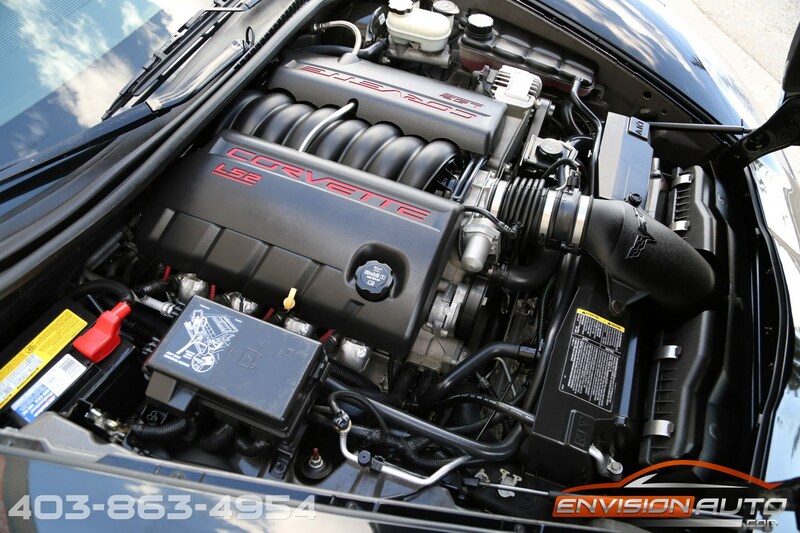 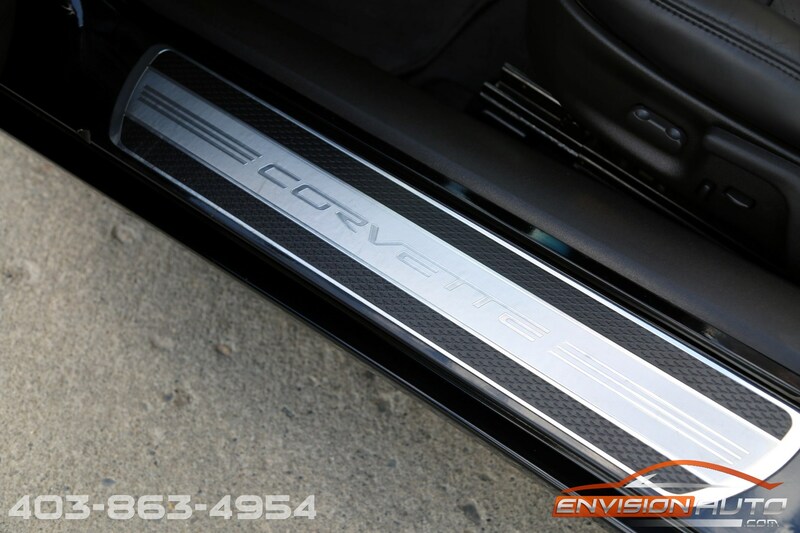 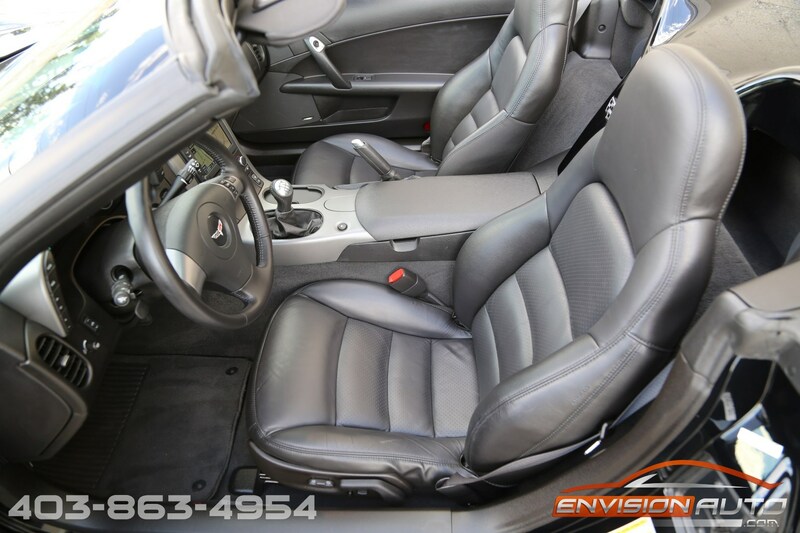 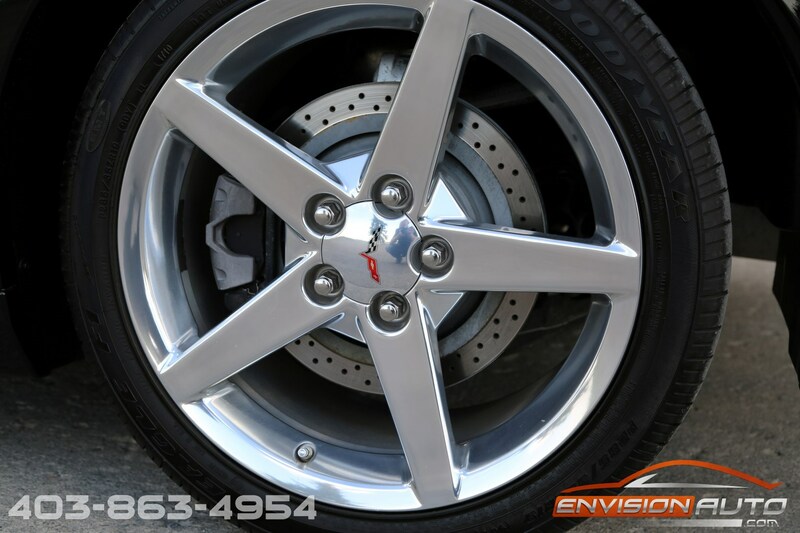 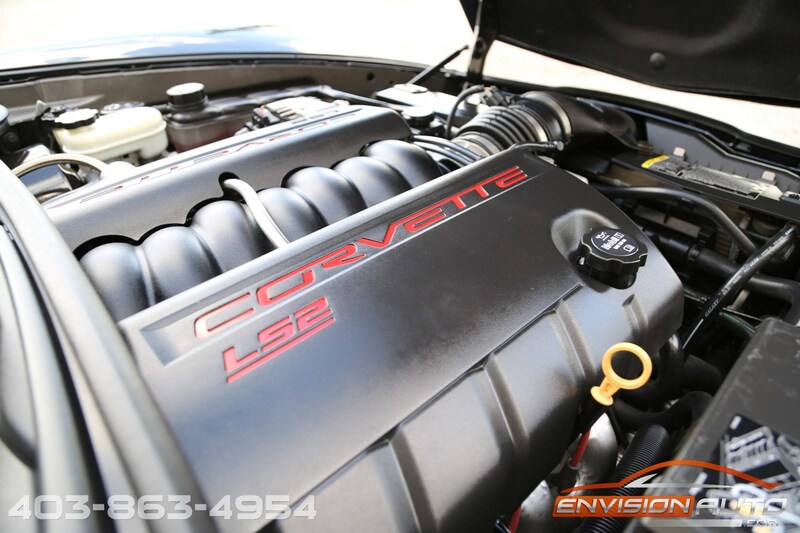 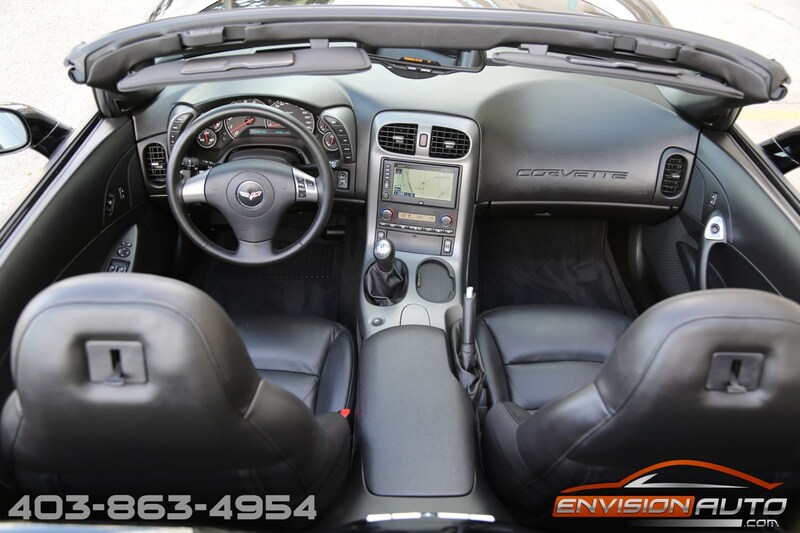 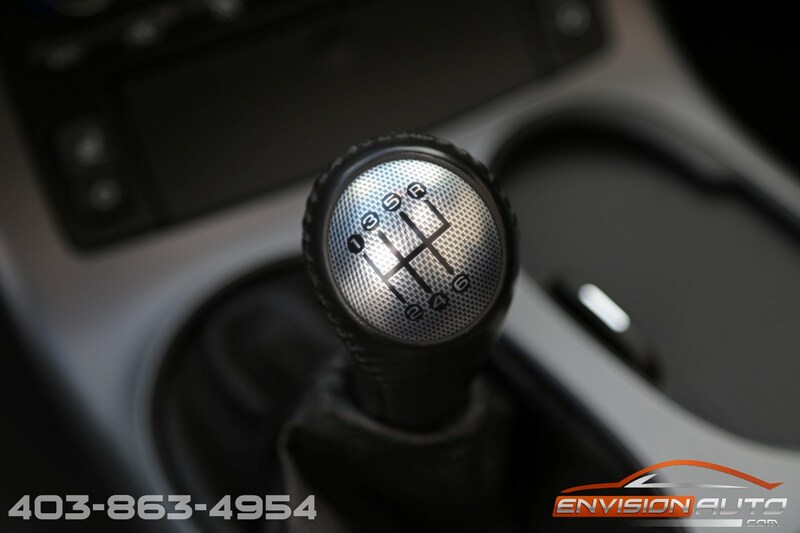 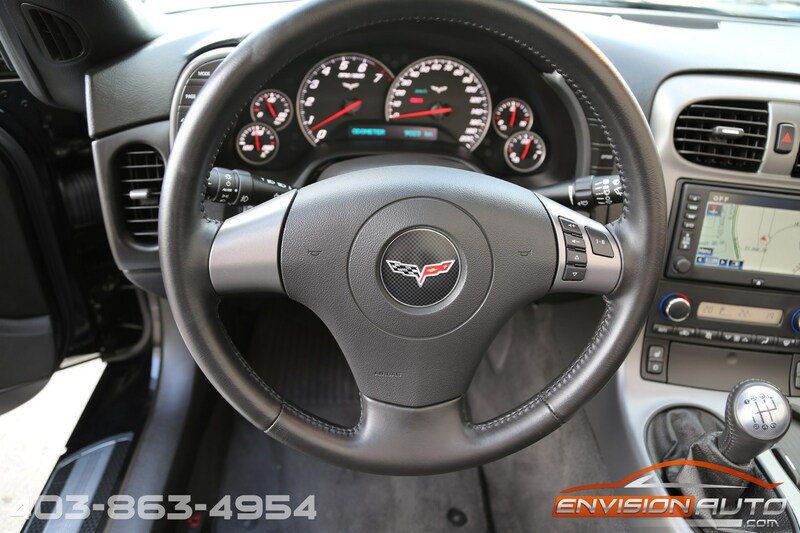 This Z51 3LT Convertible comes 100% factory original, and unmodified – zero alterations since new. 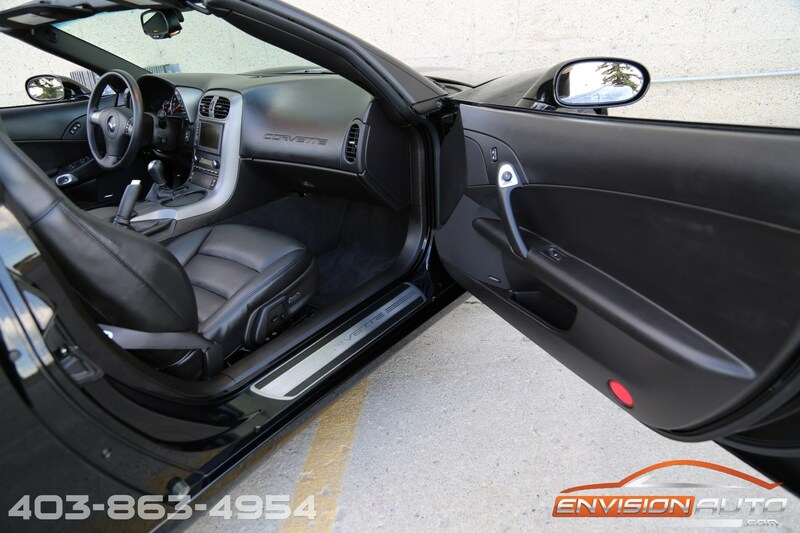 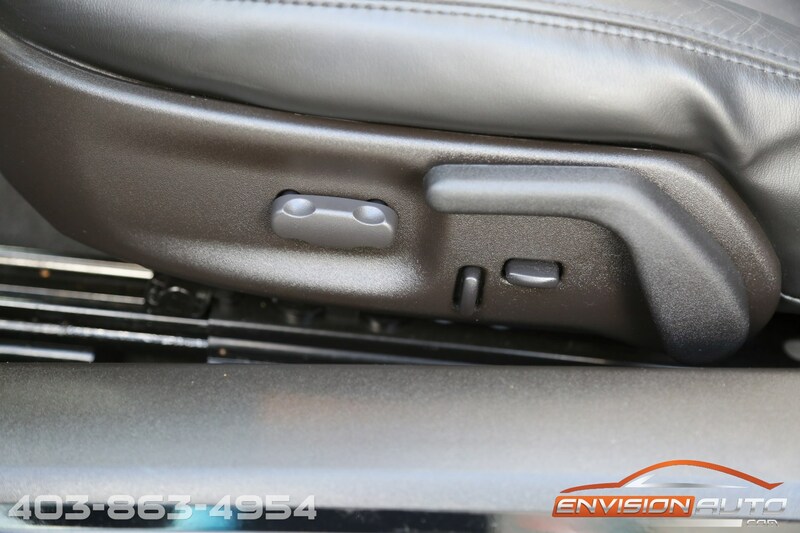 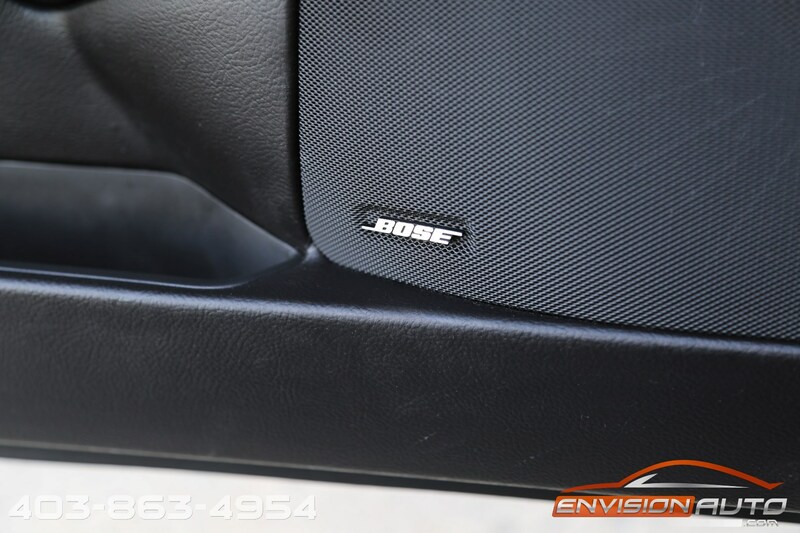 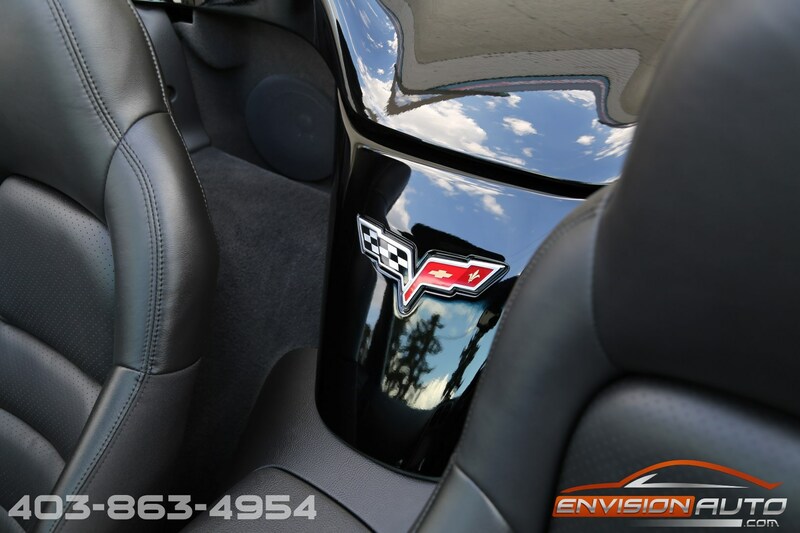 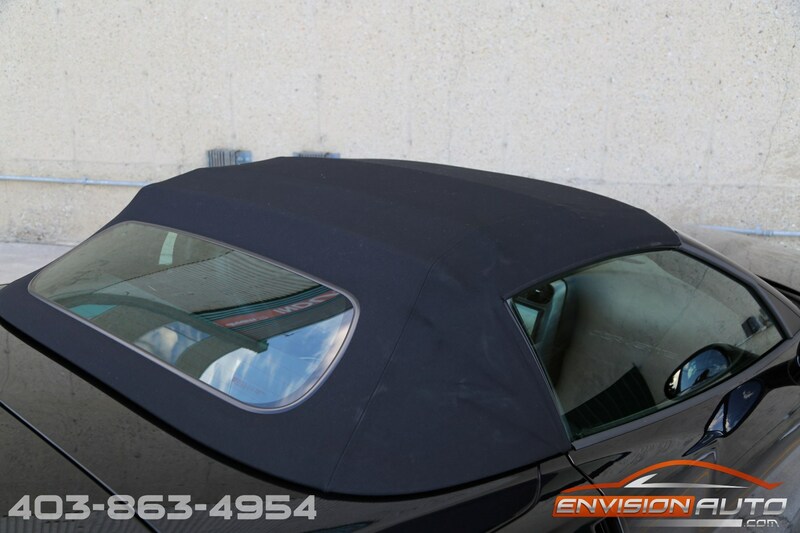 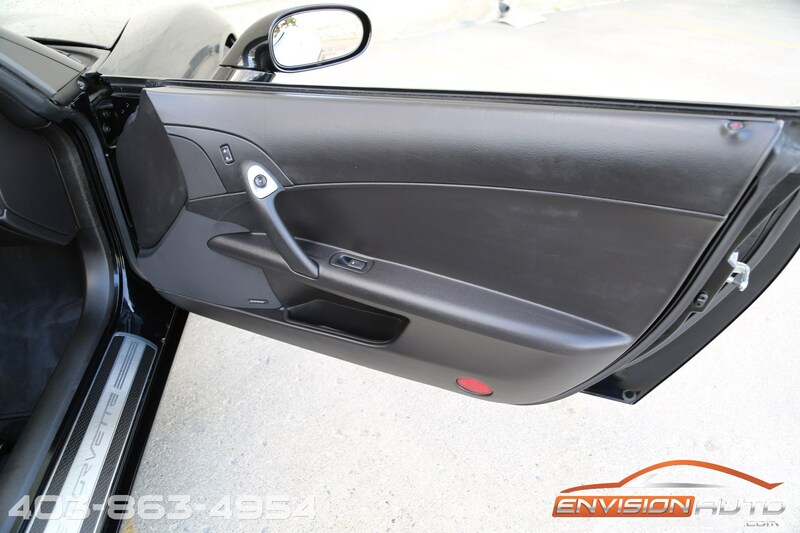 The previous owner paid over $1,500 at Thompson Graphics to have the entire front of the car protected with clear 3M protection film including the entire hood, entire fenders, and front bumper. 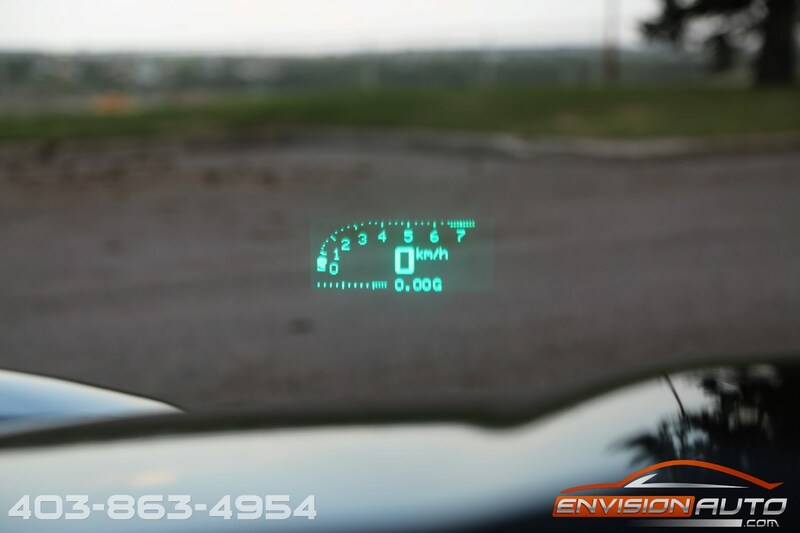 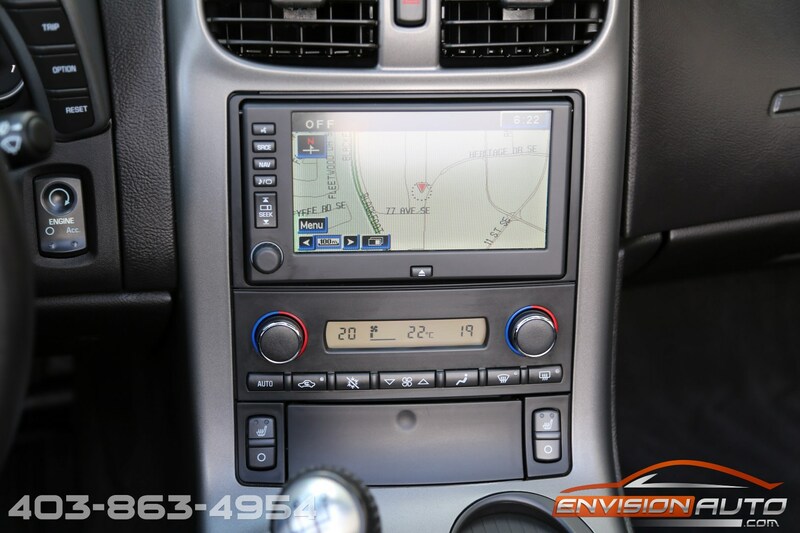 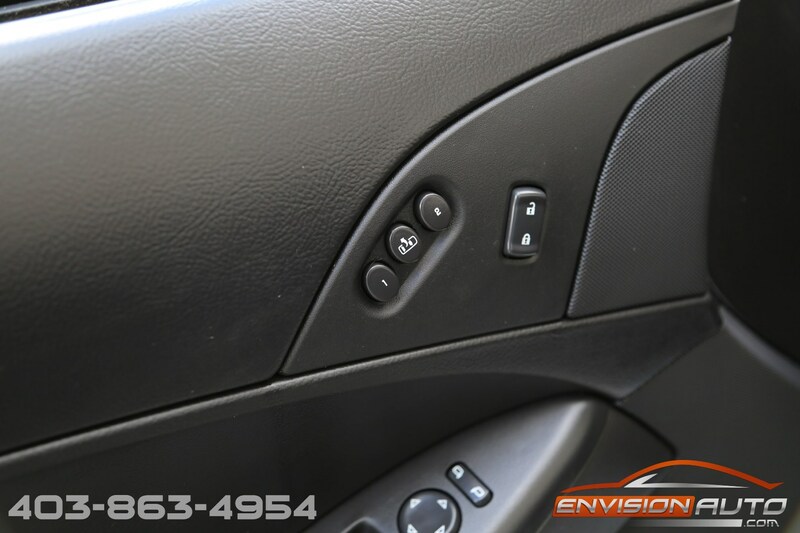 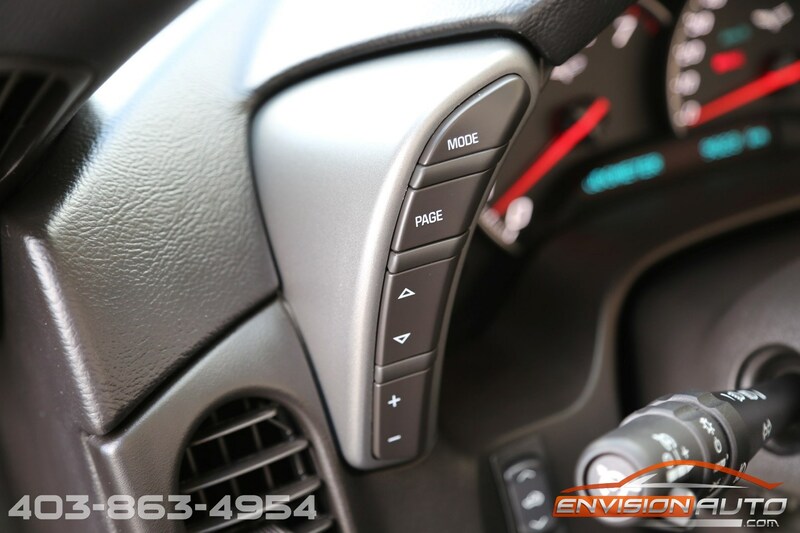 The 3LT Option Package includes a very comprehensive list of factory options and equipment including: Heads up Display (HUD), Factory Touchscreen Navigation, Bose Premium 7 Speaker System, Heated drivers and passengers leather seats, Full power adjustable driver and passenger seats with power side bolster and lumbar support, Power telescoping steering wheel, Drivers seat memory, and garage door opener.